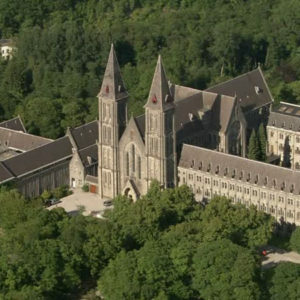 A place for relaxing and spirituality, the Maredsous Abbey perpetues the tradition of Benedictine monks in an exceptional, natural environment. Heirs from a millennial tradition, the abbey monks welcome you in St Joseph Center. A restaurant, a shop and a play-ground provide family with the opportunity to spend a pleasant and tasty moment around gastronomic products of the abbey: the beers and cheeses from Maredsous. The Dinant citadel proudly stands on the Dinant rock. Let’s dive into its history! Come to visit us and spend a pleasant moment with your family in this green environment. You may also organize private events in the citadel. 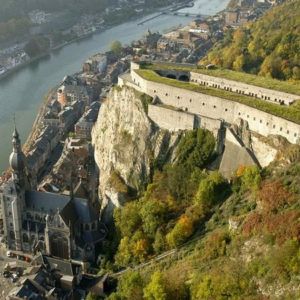 On its rock, overlooking Dinant city, the citadel proposes a weapon and a history museum since more than a century. Second city by importance in medieval ages of Liège Principauté, the “copper” city was proud of its copper work called “dinanderie” and was member of the German Hanse, an association of commercial cities in northern Europe. 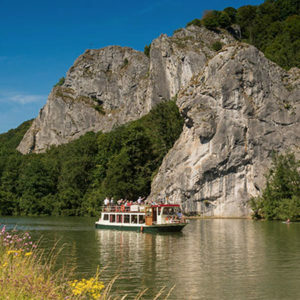 Take a cruise on the Meuse River to enjoy marvelous landscapes made of impressive rock foldings along the river. This is the best way to discover Dinant city its collegial, the Mont-Fat tower, the city hall, the citadel, the Bayard rock and many other prestigious sites. Duration: 1) Dinant-Anseremme, 45 minutes round trip. 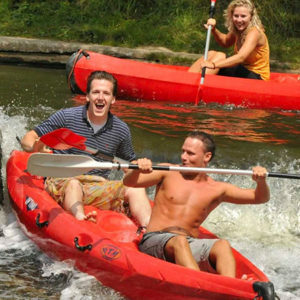 2) Dinant – Freyr, 1h45 min round trip. 3) Dinant – Waulsort, 2h30 min round trip. 4) Dinant – Namur: 3h45 min round trip. 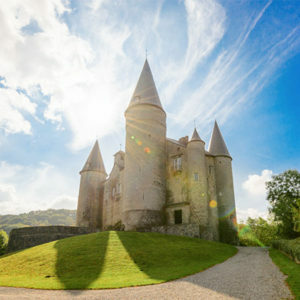 The Vêves castel or the Sleeping Beauty castel. A Major Walloon Heritage. Pépin de Herstal fief during the eigth century, then fortress of Sires de Beaufort, home up to now of Counts de Liedekerke Beaufort, VEVES, after a tumultuous history is today a living testimony of past centuries. Discovering the castel apartments, the visitor will fall into the charms of the atmosphere: XVIIIth century furnitures, rare porcelain, historical memorabilia and old paintings. 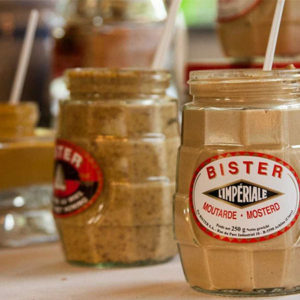 PLease come and visit the Moutarderie Bister- l’Impérial (a mustard factory). A family factory since 3 generations. Established in 1926, it acquired in 2007, the spice brand from l’Etoile. We manufacture several mustards, picallili, oinons, pickels, vinegar capers and cold sauces. Visiting the manufacture: Presentation of the manufacture history – product tasting – video presenting the manufacture – discovering the manufacture – visit of the mustard museum – little gift. 150 years of brewering, passion and exchange… Come and discover the marvelous brewery, established in 1858 by the Belot family where today we still practice the traditional art of brewery. Specialized in the production of high fermentation beer with additional fermentation in the bottle, the brewery invites you to visit its facilities, to follow the brewery process and to discover its products. 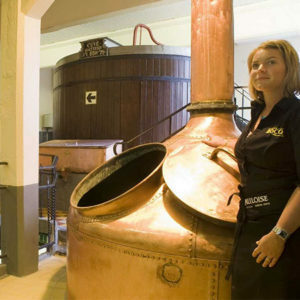 Visiting the du Bocq brewery is also the pleasure to taste its beers in an exceptional environment as a beer will be offered to each visitor. 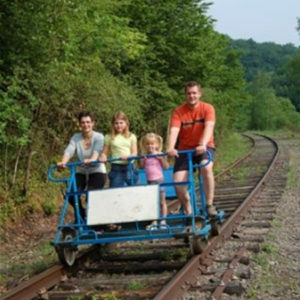 Enjoy the « draisine », with 4 persons on board, 2 pedaling and 2 resting. From Warnant, you will pedal for 4 km on an ancient rail road which meander along the picturesque Molignée valley up to the old Falaën train station. It takes about 30 minutes, and following a break of 30 minutes (with a drink or not), you will pedal back to Warnant.